It calls for a more critical and dynamic conception of education goals as a necessary element of a healthy society. The scope is global, with contributing authors and examples from around the world. The sweep includes past, present, and future. Even for those who lament its failures, progressive education still seems to be asking the right questions. There is a vision, the progressive impulse, which goes beyond educational practice per se to include inquiry into a conception of the good life for both individuals and society. Because progressivists tend to dispute the status quo and the extent to which it nurtures that good life, there is an underlying critical edge to progressive thinking, one that has sharpened in recent progressive education discourse. 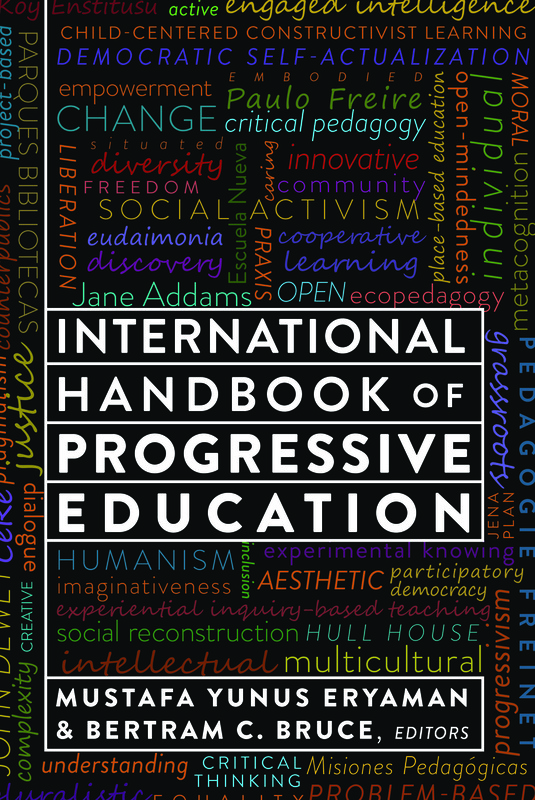 The handbook’s inquiry into progressive education starts with a number of intriguing and difficult questions: How has progressive education fared in different contexts? How do progressive methods relate to ideas of constructivist, discovery, problem-based, experiential, and inquiry-based teaching? And do they «work»? If progressive education offers an important alternative, why has it often been ignored, abandoned, or suppressed? What is the relevance of its tenets, methods, and questions in the new information age and in a world facing global changes in environment, politics, religion, language, and every other aspect of society? This entry was posted in education and tagged Austria, book, John Dewey, mybook, progressive education, Spain, Turkey. Bookmark the permalink. Congratulations! An admirable project that should have wide-reaching influence.